One of the most stressful points in any adult’s life is house hunting. There are so many factors to consider when looking at a house. Can I fit my clothes in this closet? 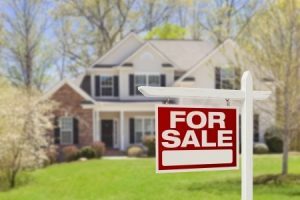 All of these questions and more will be running through your mind throughout the buying process. One thing that many people overlook is if there is a pest problem. Sometimes when there is a pest problem, you won’t even notice until it is too late and you are all moved in, and then you notice a little critter giving you the side eye when you encroach on “his space”. This is what we want to help you avoid. What should you look for then as you are touring homes? As you walk through the home, you may check for water pressure from the faucet. Once you do that, bend down and look in the cupboards and check for any active pests. This will be the easiest way to tell if there is a problem on your hands. Going through each of the bedrooms to you may look to check the size and see if it will measure up to what you need. Next you may look at the condition of the windows to see if they need replacing. As you do this, look at the sills to see if there are any dead bugs lying in there. If you notice the same bugs in windows throughout the house – chances are that there are many more live ones on the property. Lastly, as you are walking through taking in the sights of a possible forever home, breathe through your nose and see if anything smells off to you or the people who you are touring the home with. Many exterminators will tell you that pests will give off smells. Mice give off a urine smell, roaches have an oily odor, and the smell of garbage is also a bad sign. If you end up falling completely in love with a house that does have a major or minor pest problem, give Amherst Exterminators a call at 716-908-2475 before you move in. We can have everything taken care of before you unpack your bags and get settled in! As the weather gets hotter, more and more citizens across the United States are beginning to worry about mosquitoes transmitting the Zika virus. The chance of this disease reaching us here in Western New York is incredibly low, but it is always best to be safe! 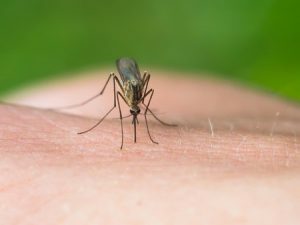 Whether you have tropical summer travel plans or would just like to keep mosquitoes away while you’re in the backyard, Amherst Exterminators has a few important tips for you to remember. If your yard is infested with mosquitoes, the best way to get rid of them is to remove all forms of standing water. This water is a breeding ground for flying insect pests, and without it you will see their numbers dramatically decrease. We recommend checking your gutters to make sure they are draining properly and changing the water in your bird bath frequently to help reduce mosquitos’ numbers. Mosquitoes are most active around dusk and dawn, which luckily enough are two of the coolest times of day. If you plan to be outside at these times, wear full length pants, sneakers and a long sleeve shirt to help prevent bites. Bug spray is the best and most efficient way to protect yourself from mosquito bites, and we recommend applying it whenever you will be spending an extended period of time outside. Check the repellant’s label to make sure it contains DEET and be sure to follow product instructions when applying. For all your insect pest extermination needs, Amherst Exterminators is here to help! Contact us by phone at 716-908-2475 to learn more about our services and to schedule an appointment to remove the unwanted pest you are facing. As creepy as we humans think they are, spiders are incredibly beneficial to us – especially during the summer months. If your garden is always plagued by the teeny insect pests that munch on leaves and help themselves to ripening fruits and vegetables, the spider will truly be your best friend. These eight-legged arachnids are some of the only pest predators that don’t eat plants themselves, making them the perfect guests in your garden. A recent article in The Journal Times offers tips on how to create a more spider-friendly yard, which includes plenty of trees and shrubs. Of the 45,500 known spider species, only a few (yellow sac, black widows and brown recluse) are venomous to humans. And since none of these species are aggressive, the chance of them harming you is rather low. A great help in preventing other creepy crawly critters from infesting your garden and yard, spiders do make their way into homes on occasion. Since spiders lay hundreds of eggs at a time, a nest inside your home can easily result in itchy spider bites. 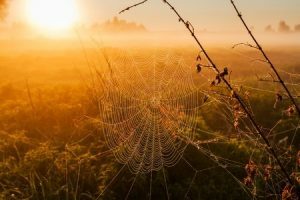 Seeing a spider or two is no cause for alarm, as these insects can easily make their way inside through a hole in your window screen or an open door, but if your Western New York home is facing a more serious infestation Amherst Exterminators can help. For more information about spiders and how to get rid of them inside your home, contact our professional team of exterminators at 716-908-2475. 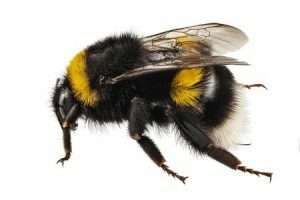 Two of the most common insects you will see in your yard during the summer months, wasps and bees are both colored black and yellow with stingers that pack quite a powerful punch. Another trait they have in common? Both of these flying pests can potentially invade your home. So how do you tell the different between a wasp and a bee? There are a few different traits to look for. Although both insects can fit inside the palm of your hand, they are rather different in shape. The honey bee is round and wide, much fatter than his cousin the wasp. Wasps, on the other hand are long and thin, with a body that tapers in behind the wings before rounding back out. Technically, bees and wasps are the same colors (yellow and black), but to a knowledgeable eye their exact shades are rather different. Honey bees are coated in what looks like hair or fur, and they can range in color from black to brown and orange to yellow. Wasps, on the other hand, have a bright and shiny body with smooth, bold coloration. 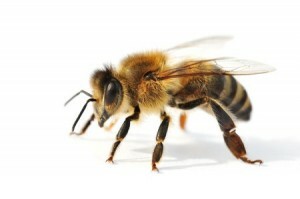 Once you get past their similar appearances, bees and wasps are very different creatures. Bees are pollinators that fly from one flower source to the next, enjoying nectar as they go. Wasps are predatory insects that eat other bugs. Both are attracted to sugar sweet smells, which is why it is so important to keep your kitchen neat during the summer months. Neither wasps nor bees are aggressive in nature, but both will sting if enticed – or if they feel that their nest is in danger. Honey bees and wasps are both known to builds their nests inside homes when given the opportunity, with popular nesting locations being in attics or on the inside of walls. Regardless of which flying pest you are dealing with, Amherst Exterminators can help. Give us a call at 716-908-2475 to schedule your appointment or request a free quote. 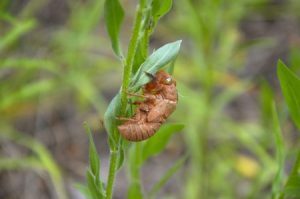 Spring is almost here, and as we mentioned in our last blog post, the warm winter weather Western New York experienced may lead to larger insect populations this season. 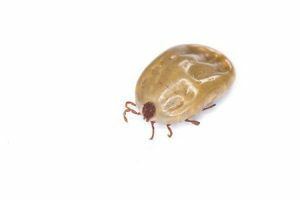 With this in mind, Amherst Exterminators has compiled a list of four common spring insect pests that can reduce your home’s value. 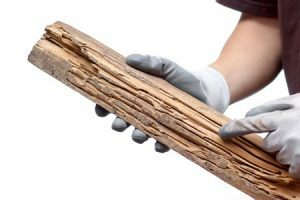 According to realtor.com, termites are the biggest threat to wood-based structures in the US, costing more than five billion dollars in damage each year. Common signs include discarded wings, hollow-sounding wood and tubes of mud on the outside walls of your home. There are two different species of termites prevalent in the country, subterranean termites and drywood termites, each of which requires different removal techniques. A pest commonly found across the Northern United States, carpenter ants are both a nuisance to deal with and a danger to the woodwork in your home. While carpenter ants do not eat wood like termites do, they do burrow into it, creating nests for their young to grow. Some of their favorite places to burrow down include windows, doorways and in wall voids, so watch for their appearance and listen for rustling noises in these areas. If you spot carpenter ants inside your home as the weather warms up, this could signal that a colony has been living dormant inside your walls all winter long. Found worldwide, German cockroaches are transmitters of diseases like Salmonella and E. coli, also causing asthma and allergy flare ups. One of the most disgusting pests to make their way into homes, it is important to get rid of these critters quickly so they do not do any harm to your family, contaminate your food or damage the paper products throughout your home. As much as we love the taste of honey and the honey bees’ ability to pollinate flowers, no one wants a colony of these winged insects inside their attic or the walls of their home. Not only can the bees themselves be tough to remove, but the hive itself must be completely removed to prevent further problems. If sections of the hive are left behind, it and the honey left within it will decompose, creating a sour odor and attracting other pests to the area. If you notice signs of any of these pests in your Western New York home this spring, contact Amherst Exterminators for help at 716-908-2475. Western New York is known for many things, with harsh winters being near the top of the list, but this past winter has been warmer than average. While that makes life a little easier for area residents, it does the same for area insects as well. 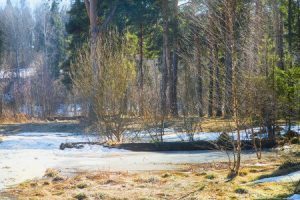 It is difficult to predict how this winter’s weather precisely impacts the insect population, but generally speaking, warmer weather allows a larger population of bugs to remain alive through the winter months. That, in turn, means a larger insect population in early spring. So while you’ve enjoyed our mild winter, make sure your home is ready for the spring and the return of the insects. Amherst Exterminators eliminates pests in a safe and cost-effective manner. 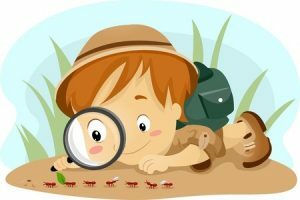 With a proper inspection and subsequent treatments, we can correct or prevent any pest control problem. Amherst Exterminators uses a process called Integrated Pest Management, which has six steps to ridding your home of bugs. That includes an inspection, an identification of the problem, applications of non-chemical and chemical approaches, continual monitoring and communication with you to keep you informed during and after the treatment. We can help you fight against the possibly larger insect population and ensure your home is insect free. 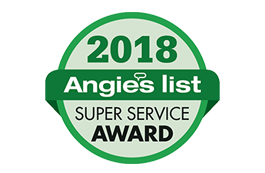 With years of experience, Amherst Exterminators has helped residents throughout Western New York to get rid of the pests that not only spread disease and painful or itchy bites, but can damage property as well. As spring arrives, call Amherst Exterminators to schedule an inspection of your home. 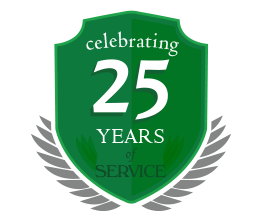 We pride ourselves on protecting our neighbors from everything from ants, flies and bed bugs to mice, rats and bats. Find out how we can help you today by calling 716-908-2475.